Louis Joseph Papineau is one of the few protagonists of political thought whose place in Canadian history is yet to be fixed. Common report ascribes to him a desire for responsible government, yet, as Robert Christie noted, he struggled only to obtain for Lower Canada an elective Upper House. 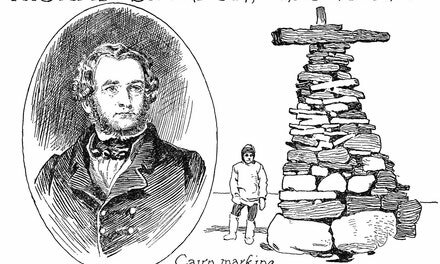 His weakness, vacillation and fatal indecision in the rebellion of 1837, brought, as it did with William Lyon Mackenzie in Upper Canada, cruel disaster upon him and his followers. In the end Papineau died having forfeited the esteem of his compatriots, though Mackenzie lived to triumph over adversity and convert the active hostility of his fellow-citizens into a passive respect if not a warm-hearted affection and loyalty. Louis Joseph Papineau was born in Montreal October 7, 1786. He attended Quebec Seminary and was called to the bar of Lower Canada in 1811. He served as an officer in the Canadian militia during the war of 1812, and was present at the capture of Detroit. In 1814 he entered the Legislative Assembly for Montreal West, and the following year he was chosen Speaker, a place he continued to hold with little interruption until the outbreak of the rebellion of 1837. During this period he was regarded as the spokesman of the French Canadian reformers or patriotes. 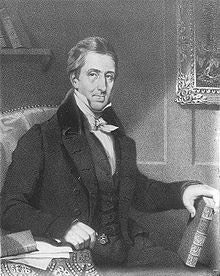 In 1820, Lord Dalhousie, the Governor-General, had induced him to accept a seat in the Executive Council, but finding that his advice was repeatedly disregarded, Papineau soon resigned. Two years later he opposed the abortive union bill, and went to London with John Neilson, publisher of the views of the Assembly on the subject of union upon the Colonial Office; and in 1834 he went again as an agent of the French Canadians. Implicated in the rising of 1837, he was arrested and imprisoned on a charge of treason, but was released without a trial. From 1841 to 1845 he sat in the Legislative Assembly of united Canada for Richelieu, and later represented the riding of Three Rivers from 1845 to 1848. He took office in 1844 under Lord Metcalfe the Governor-General, as leader of the government of Lower Canada, with the portfolio of President of the Council. He resigned in 1846 when he failed to carry his colleagues with him. In 1848 he was appointed to the Legislative Council where he remained until 1858. His death occurred in Montreal on February 13, 1861. The author of numerous pamphlets on lively issues of the day, interest in them largely ceased with the events which gave them birth. Some verse by Viger appeared in Le Spectateur, Montreal, from 1813 to 1825. 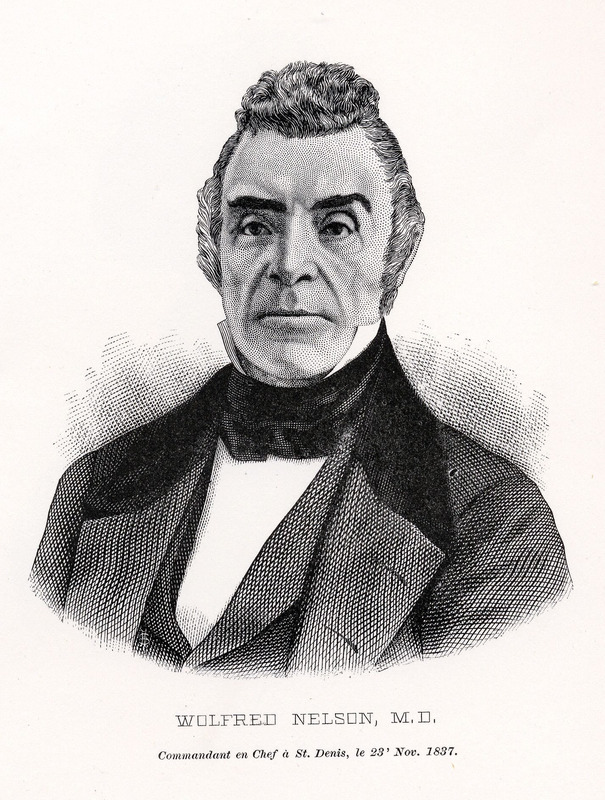 He was the first president of the Societe de St. Jean Baptiste, Montreal, and in 1855 St. John's College, New York, conferred on him the honorary degree of Doctor of Laws. 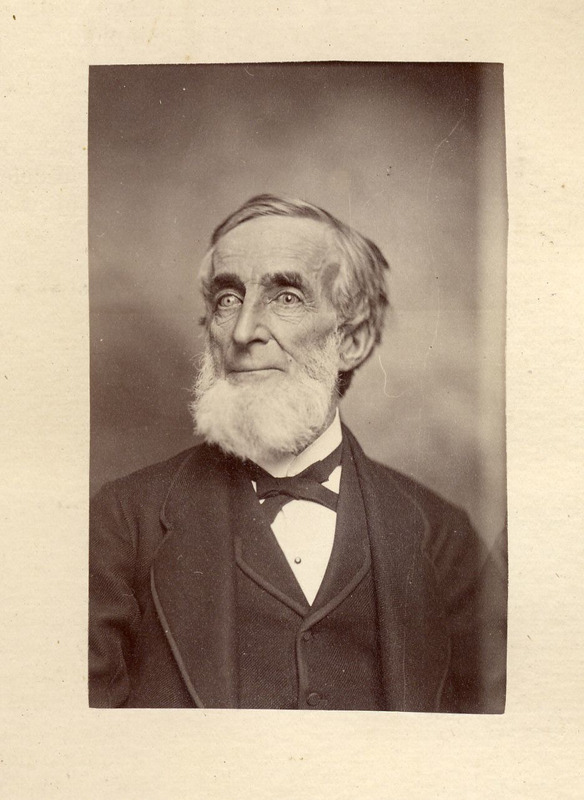 Wolfred Nelson, surgeon and a leader of the rebellion of Lower Canada in 1837, was born in Montreal July 10, 1792. He began the study of medicine before he was fourteen years of age, when he was apprenticed to a Dr. Carter, a retired army surgeon, who practised at William Henry (now Sorel). Medical men were then so few in Lower Canada that young Wolfred Nelson, while still a student, was placed in charge of a small military hospital, and thus became familiar with difficult surgical operations. In 1811 he was granted a licence to practise, though not yet nineteen years of age, and established himself at the village of St. Denis on the Richelieu River. He served throughout the war of 1812 as a surgeon to a regiment raised in his district. 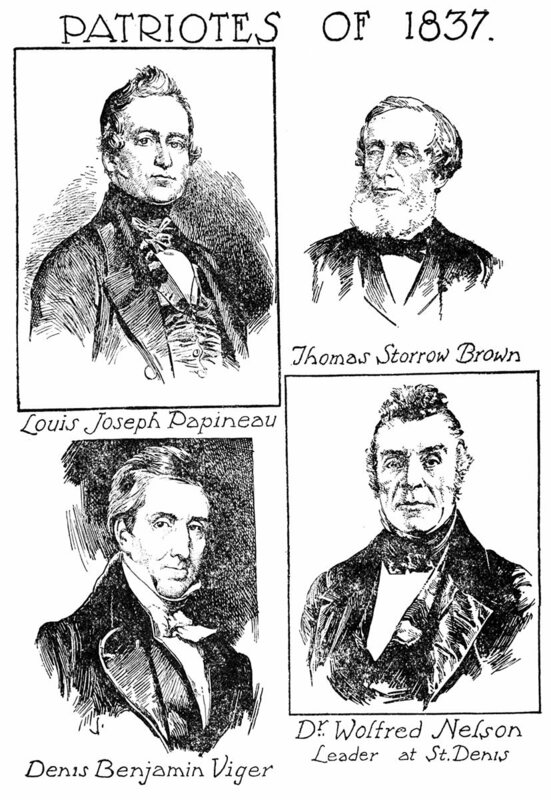 Entering politics, he was elected in 1827 to represent Sorel in the Legislative Assembly of Lower Canada. 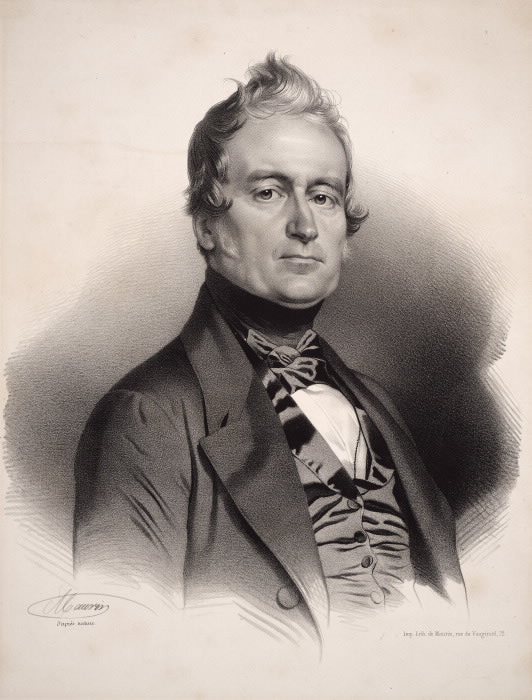 During the next ten years, as one of the chief supporters of Louis Joseph Papineau, he took a prominent part in organizing the rebellion of 1837, and was present at the engagements of St. Denis and St. Charles. About this time also he seems to have conducted a distillery at St. Denis. 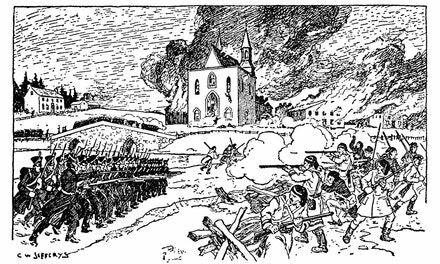 After an engagement between the patriotes and loyalist troops at St. Charles, quitting the scene of battle, he was captured and later. banished to Bermuda, with eight other rebels, by Lord Durham. In 1843, he took advantage of the amnesty to return to Canada and resume the practise of his profession in Montreal. Although he had no university training, WoHred Nelson was one of those upon whom McGill University, in 1848, conferred the honorary degree of Doctor of Medicine as an acknowledgment of his professional eminence. From 1844 to 1851 he represented Richelieu riding in the Legislative Assembly of Canada. In 1851, he withdrew from political life, and ironically enough, he was appointed inspector of prisons. He was for a time chairman of the Board of Health, and twice was elected president of the College of Physicians and Surgeons of Lower Canada. He died at Montreal on June 17, 1863.